Tiger’s Glory™: a fight to the death! The Quickspin provider offers us a slot machine with 6 reels, 4 rows and 4096 ways to win Tiger’s Glory™, furious tigers fighting gladiators that will turn into sticky items if they come out victorious to allow us to win fairly substantial prizes using wilds, bonus symbols, and rabid tiger! The general Quorum must lead the Roman army towards a victory over the Germanic troops that will end a war against the Roman Empire. This is how he will be able to put on his side the old Marcus, the emperor who is very sick but whose only name makes the world tremble. He has a son called Belgradum, but the emperor prefers that it be general Quorum (the mauve gladiator of Tiger’s Glory™) who takes power and govern upon his death. But Belgradum doesn’t conform. He kills his father and takes power. In addition, he ordered Quorum to be changed to gladiator instead of general and to be fought to death. Quorum manages to escape. He takes the opportunity to fetch his family but unfortunately it arrives too late. His wife and son are dead. He then falls into the hands of slave who take him to North Africa and make him fight in the arena. Belgradum was crowned emperor and ordered to organize games and gladiator fights for the celebration. Given the quality of the fighting and remains invictus, Quorum is brought back to Rome to participate in the gladiator fights. He must first fight against a Bengal tiger (like in Tiger’s Glory™). The fight is hard and fierce. Everyone is afraid about the life of the gladiator but agilely he defeated the huge tiger, and howls vengeance in the arena. Nobody understands anything but when he removes an iron mask that he had on his face, the Quorum complexion pales, he just saw his enemy. It was then that emperor Belgradum brought all the bloodiest gladiators to try to defeat Quorum. But in vain, he kills them all one by one, no one resists him. It is then that Quorum defies the emperor: that he descends into the arena if he is as valiant as that. After a few minutes of waiting and the acclamation of his people, Belgradum decides to go down and fight against Quorum. It’s a bloody fight and to death: This is the moment of vengeance! The strength of the former general makes the emperor perish in his arms imploring his forgiveness. The Furious Tiger Free Spins Bonus will trigger if 3 or more bonus symbols arise on the reels. If we find it 3, 4, 5 or 6 times then we’ll receive 7, 10, 15 or 20 Free Spins respectively. The Furious Tiger appears only during the free Spins bonus. 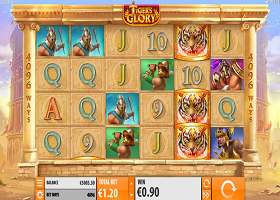 The tiger will fight against gladiators, if the tiger wins, the symbol remains in position until the end of the bonus free spins. The first tiger on each reel that wins a battle wins an extra free spin, up to 6 free spins can be rewarded. 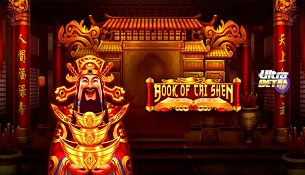 The tiger symbol pays anywhere during free spins, and do not need to start from the leftmost reel, nor do they be on consecutive reels. The scatter bonus symbol is not available during free spins. Special symbols are the symbol of the tiger who pay anywhere during the bonus free spins, the symbol of the furious tiger, it only appears in the bonus free spins. It fights against gladiators and if the tiger wins, its symbol sticks in the position up the end free spins. In addition, it will be evaluated as the symbol of the tiger. The scatter bonus symbol appears on all reels in the base game, 3 or more scatter bonus symbols will trigger free spins bonuses. The wild symbol (a red frame with crossed laurel branches and the word wild in gold) substitutes all the symbols except the scatter bonus and the symbol of the rabid tiger. The wild symbol will only appear in the basic game. 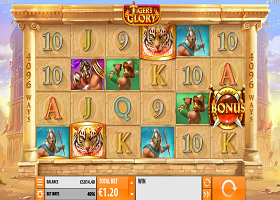 The Quickspin software transports us to the world of gladiators with its instant slot machine Tiger’s Glory™. A slot machine of 6 reels, 4 rows and 4096 ways of winning that lead us into the arenas and into bloody fights that can lead us to win reaching 13.830 x in one tour! There is only one feature, but it is quite gainful, high volatility and a RTP of 96.51% make the Furious Tigers appearing a lot of times. Bets range from £0.20 to £100 so that many players can feel in their world of the most discreet to the highest. The betting range is big enough to be able to make everyone happy, and it is very important for software that the greatest number of players are comfortable and can play the amount of money they have to the spirit. The atmosphere of the arenas is very well rebuilt. The colors perfectly trace the surroundings, the characters represent the beautiful and strong gladiators as in ancient Rome, who did not fight only against men but also against ferocious animals to demonstrate their strength and their courage. Quickspin has been able to trace this era and despite a lack of features, jackpot, multiplier of earnings we are not bored. The tigers that fight in the squares with the gladiators are well-succeeded. The Tiger’s Glory™ game is a success! Quickspin did not miss his shot! Subject : Tiger’s Glory™: a fight to the death! See the 04 games ?